Successfully Added WMC X5 5 Inch Smartphone - 1280x720p HD IPS Screen, Android 4.2 OS, MTK6589 Quad Core 1.2GHz CPU, 13MP Rear + 5MP Front Cameras to your Shopping Cart. WMC X5 5 Inch Smartphone has a 1280x720p HD IPS Screen, Android 4.2 OS, MTK6589 Quad Core 1.2GHz CPU as well as a 13MP Rear Camera and a 5MP Front Camera is exactly what you need whether you want an efficient communication device or a cool portable entertainment gadget. 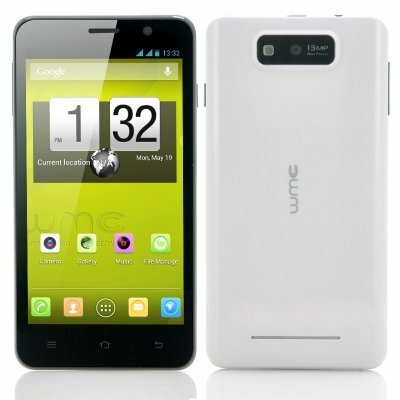 Designed in Taiwan, the WMC X5 smartphone brings convenience at a low budget price directly to the user. You will soon notice the 5 inch screen offers a generous 1280x720p high definition resolution that also implements IPS technology so no matter what angle you view your content, then the video will not lose its quality and be consistent. Android 4.2 is the operating system for the WMC X5, and it comes with many advantages over previous versions of Android as you can get involved in group messages as well as having increased number of extended notifications and actionable notifications for more applications, allowing users to respond to certain notifications within the notification bar and without launching the application directly. WMC X5 comes to life with a MTK6589 Quad Core 1.2GHz processor that when working with the 1GB of RAM produces a performance that will certainly satisfy. All your content such as music, games and downloaded applications from the Google Play store will run without a problem due to the amazing efficiency of the quad core processor. 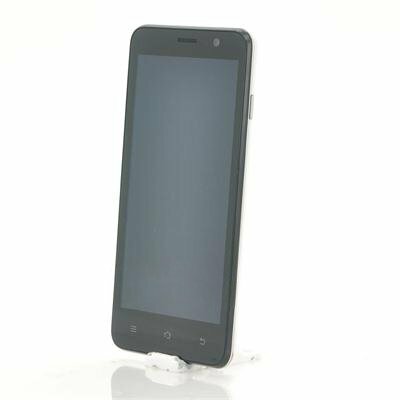 This phone at this price is certain to make shock waves in the phone industry as it has a mighty quad core processor and a ravishing resolution making it a great buy for anyone. Nice resolution with nice big screen. Camera had noise at low light. An incredible product for the price. First I had a doubt on the quality due to the low price, that why I hesitated a while before to make an order. The product is perfect for someone having small hands (not too big). The screen is very clear and easy to read. The phone is reactive despite low memory. Thank you Chinavasion to have source this supplier and this material. I recommend it to anyone wanting a low-cost but high-features phone. No bas point up today. Bestellvorgang und Lieferung durch DHL tracking, transparent gut nachverfolgbar. Akku bereits installiert und vorgeladen! Es lag eine kleine Bildstrecke bei, damit man trotz chinesischer Schriftzeichen die Sprachumstellung meistern kann. Das Handy last sich sehr einfach einstellen Android Jelly bean, hervorragend! Meine beiden Simkarten von O2 und 1&1 wurden problemlos erkannt und funktionieren sowohl bei Anruf wie auch angerufen werden einwandfrei. Liebes Chinavisionteam, Ihr habt einen Kunden sehr zufriedengestellt.